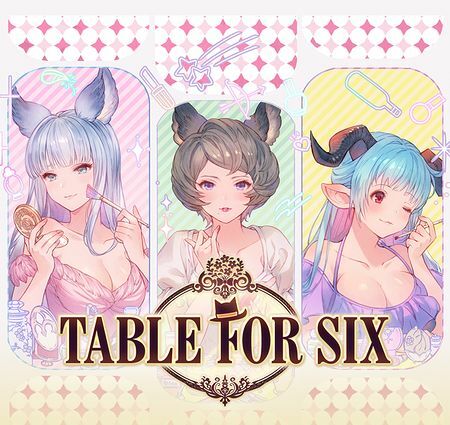 Table for Six is a story event. self-discovery at her beloved sister's behest. with lips freshly coated in red? as she steps onto the battlefield. Purchase the 150× Half-Elixirs; they provide much more AP than is needed farm them. Dandelion is a Wind dagger with an EX Wind ATK weapon skill. This weapon is replaceable by Four-Sky Blade Ventus as a Wind dagger main weapon, which has a much more useful Charge Attack effect. Worth getting if you do not own at least one EX Wind weapon. H.P.A. is not meant to be used as a main summon. 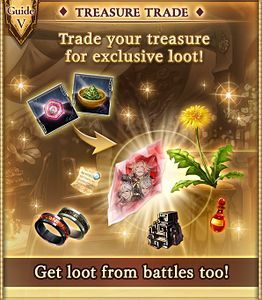 Its call effect grants a random offensive buff to all allies, and a large stat boost to Vira and/or Katalina. As with most event-exclusive summons, it is a good summon filler for stats until you obtain better. for all allies can be useful, but shouldn't be relied on. Sutera joins you permanently after raising her loyalty to 500. After finishing the event story, hosting or joining any of the event raid battles has a high chance to trigger a cutscene with Sutera. She gains loyalty points depending on the answers you give her (50, 75, or 100 pts). Once her loyalty reaches 500, she will join your party. See the Cutscenes with Sutera section for possible dialogue paths. 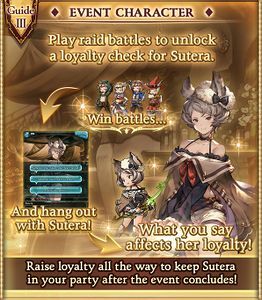 All loyalty cutscenes are viewable in the Journal after permanently recruiting Sutera (Event). Sutera: Hey, MC, when I was at the mixer the other day, I kept hearing the boys say to the max. Sutera: Everyone else seemed completely at home with it, but I can't say I'm too familiar with that expression. Sutera: I was wondering if you could shed some light on what it means. Sutera's loyalty increased by 75! MC gives the correct answer, but Sutera's brows furrow in consternation. Sutera's loyalty increased by 50! Sutera: Cute... to the max? MC blurts out the first thing that comes to mind. Sutera reflects on the answer, her brows furrowed in consternation. Sutera's loyalty increased by 100! Sutera: Oh, I see! So it's used to describe something as marvelous! Thank you! MC had only meant to get a laugh out of her but seeing Sutera's readiness to accept any answer makes MC feel guilty. Sutera: Excuse me, MC, but another word kept coming up at the mixer. I think it sounded like... emo? Sutera: It seemed like I was the only one who didn't understand what it meant. Sutera: Could you tell me what emo means? Sutera: Well, I suppose that's the kind of thing you would hear at mixers. MC is overcome with shame at how quickly Sutera falls for the joke. MC advises Sutera not to delve too deeply into its meaning, which only causes her to become more puzzled. Sutera: Y-you think so too? I wasn't sure what I was supposed to feel when using that word, but I used it throughout the conversation anyway! MC gazes at the overjoyed Sutera and mutters the word again in disbelief. 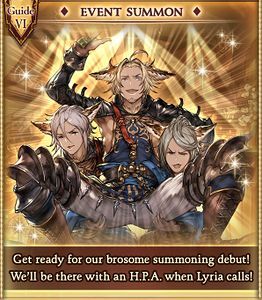 Sutera: MC, I heard the phrase hot and fresh at the mixer..
Sutera: It seemed to be describing Lowain, Elsam, and Tomoi in some way. Sutera: Looking back on what happened that night, the meaning behind that phrase still eludes me. But given the context, there must be some hidden meaning behind it, right? MC gives the right answer, but even so Sutera knits her brow in confusion. The nuances are numerous and complex, so much so that Sutera remains confused. Sutera: Oh, so it's like getting over your shortcomings! It has a surprisingly deep meaning! MC smiles coolly at her reaction. Sutera: Hi, MC. You know, the topic of partner types came up at some point in the night. Sutera: The conversation became animated, and I really want to know what other types of partners there might be. Sutera: I'm interested in hearing your answer, MC. What kinds of partners are there in the world? Sutera: Makes my heart pound? Like when I'm nervous? Sutera: My father, who served as the previous guardian of my island and passed on the magic bow to me, would be such a person. It would appear some wires got crossed in the interpretation, but MC is content with the end result. Sutera: Someone I'd want to tease? But I don't know anyone like that. Sutera seems troubled by MC's answer. Sutera: D-delicious? Um, you mean someone who cooks and makes desserts? MC had only meant it as a joke and feels guilty for confusing the trusting Sutera. Sutera: What manner of impression do you get when you look at me? Sutera: Metera says I lack the will to overcome my rivals. Sutera: Since I've been traveling with you all this time, I'd be interested in hearing your assessment. Sutera: That is, if you don't mind me asking! Sutera: Cute? What are you basing that evaluation off of? Sutera: There have been times when Metera's called me cute as well, but in what context do you feel this is true? Sutera: MC answers candidly which only opens the door to more unexpected, tougher questions. Sutera: So you recognize my prudence! Sutera:Your affirmation means the world to me! I'm going to increase my diligence from here on out! MC is taken by surprise at Sutera's emphatic, delighted response. Sutera's bewildered face says it all. MC immediately feels regret at giving such an answer. Sutera: Say, MC, role-playing situations regarding love and relationships is one thing, but where does that feeling of love actually originate from? 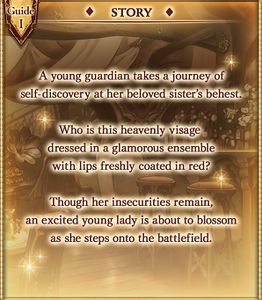 Sutera: Lowain and Lamretta said that in their case it was love at first sight. Sutera: Metera tends to pursue handsome men or hunks as she's prone to calling them. Sutera: What's the first thing you notice about someone that might lead to love? Sutera: Sutera considers MC's blunt response with a slight frown. Sutera: Oh, that's a good point! Sutera: Communication is an essential factor in knowing your partner! Sutera: MC is pleased to see a smile on Sutera's face. Sutera: Compatibility? How does one go about making such judgments? MC's straightforward opinion gives Sutera pause, her mind deep in thought. Sutera: I'd like to hear your opinion on raising one's groove, MC. Sutera: Where do you think Lamretta's groove stands at this point? Sutera: It's true that Lamretta enjoys a few drinks, leading to her happy-go-lucky persona. MC's casual remark doesn't appear to sit well with Sutera. Sutera: Yes, she's certainly a free spirit in her actions. Sutera: Being spontaneous works in any situation! Now I understand! I have much to learn! MC gives a small fist pump at seeing Sutera's enthusiastic response. Sutera: Well, Lamretta did say that she fell head over heels for that gentleman who helped her up on the roadside. 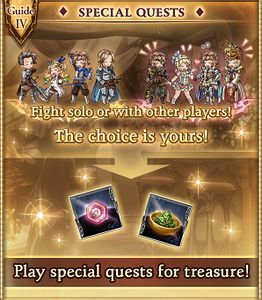 Sutera: Where do you think Korwa's groove stands at this point? Sutera: I noticed the tremendous passion she poured into creating the outfit I'm wearing now, as if she were betting everything on this single piece. Sutera: Yes, I believe that's a fitting evaluation! MC's casual remark draws an unexpectedly warm reception from Sutera. Sutera: Are you saying that anyone can raise their groove once they grow older? Sutera shakes her head in doubt. MC realizes that such a simplistic answer isn't enough to touch upon deeper nuances. Sutera: Yes, ending a story on a happy note is such a wonderful feeling! Sutera: Korwa is always attentive to the happiness of others. As a guardian, I should also follow her shining example! Speaking of ending on a happy note,MC smiles at Sutera's joyful expression. Sutera: Is there anything I can do to improve my groove? Sutera: Boy... friend? Y-you mean as in... a relationship? Sutera: Th-that's not what I meant! Please try to take this more seriously! MC's definitive answer sends Sutera into a tizzy. Sutera: But I still haven't forgotten about my previous failed attempt when I practiced with Tomoi! Sutera: But what exactly does that have to do with raising my groove? MC's attempt at ribbing Sutera backfires spectacularly. Sutera: A date with MC? I would be absolutely delighted to! Sutera: I've never been on a date before. Sutera: Nothing would make me happier than to enjoy a day together with you! MC can't help but wonder if Sutera understands what it means to go on a date. In any case MC shrugs it off and waits for the fateful day with anticipation. Sutera: Ever since I took part in that role-playing simulation at the mixer, there's one thing that I've been a little confused about. Sutera: When I pretended to hit on Tomoi, I got the sense that everyone was taken aback. Sutera: I thought about it for a long time afterward, but nothing struck me as particularly odd about my actions. Sutera: So I'd like run that simulation again with you as my partner, MC. Please point out the flaws in my approach! Sutera: Can you do that for me? Sutera: Okay, then let us begin! Sutera: I thought you could come by and... watch me try on some outfits. Sutera: Really? What should I be doing instead? Please show me how I can improve! Sutera: And so MC takes the time to coach Sutera on being herself. Sutera: Well, you'll just have to catch me if you want to find out. This over-the-top version of Sutera is almost too much for MC to handle, who starts to feel weak in the knees. Sutera's impression of Metera quickens MC's heartbeat, who doesn't seem to mind. Freezie heals herself based on damage dealt. Removes one buff from all allies. Sutera... come here a second. ... Yes, Sister? What is it? I've got it-- how we get your groove on, girl! Okay? The stage is set. But we need a game plan, too. And then... you let your groove GO! Cut your way through! Could she be teaching me something important about being a guardian...? First, we get you all dolled up! Then, a change of clothes! Let's get you dressed for war. If this be my path to mastery, then I, Sutera, shall give it my all! The journal archive entry "How Sutera Got Her Groove Back" is a reference to the 1998 American romantic comedy-drama film How Stella Got Her Groove Back. 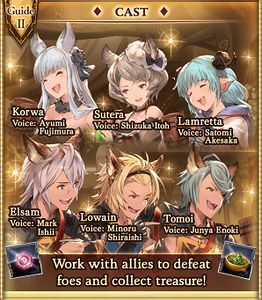 Sutera's name (Japanese: スーテラ) is phonetically similar to the Japanese transliteration of the name "Stella" (Japanese: ステラ). The giant robot that Elsam "pilots" is Super Robo Gigantes from Robomi: Generations which, in itself, is a Gundam reference. This page was last modified on 18 April 2019, at 14:18.